Ezy Invoice is a robust invoice and inventory software tool for small and medium-sized businesses. Its features include accounts receivable, fully customizable invoices and documents, financial reports, user permissions, and more. In this article, we cover pricing. Ready to get started with Ezy Invoice? Visit their website. As of the date this article was written (11/27/18), there are no Ezy Invoice user reviews online. If you are a past or current Ezy Invoice customer, leave a review to help other business owners who are deciding whether or not to use the software. Ezy Invoice’s Pro version has four bundles for businesses that don’t have a high volume of transactions and located only in one office. The licenses range from $129 each to $209 each, with a purchase of more than 1 license getting a discounted price. A free version is also available. 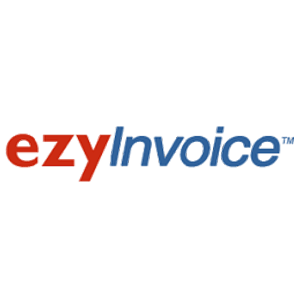 Ready to get started with Ezy Invoice? Visit their website. Supports State Sales Tax (US), GST (Australia, New Zealand, Canada), VAT (UK, South Africa), and more. What operating systems does Ezy Invoice support? Can Ezy Invoice cater to different tax structures? Yes. There are default tax settings available but users can define their own tax rates to fit local requirements. There is no limit to the number of tax types and rates that Ezy Invoice can accommodate. Not sure if Ezy Invoice is the right fit for you? Read our reviews of all top invoicing software or check out one of these three Ezy Invoice alternatives.